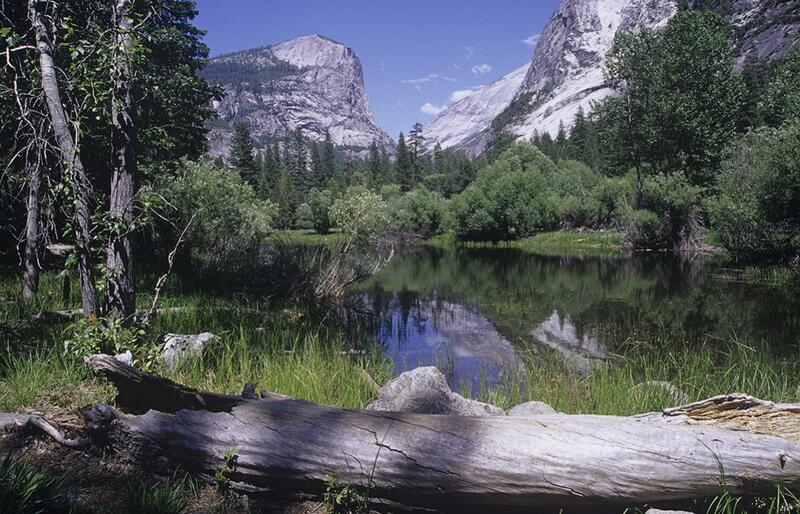 Mirror Lake in Yosemite valley (actually a pond during drought). Have you considered burning the foreground log, just a bit ? Guys, this is the best shot I got out there, and it's on Kodak chrome slide film too. Armando, I think I see what you mean on the log, but I wonder if the chalky white side of the mountain needs the same? They're almost equal in density. Pete, it's a little sharper and more defined. Btw I wonder if I should have left more space between the log and the bottom of the frame? There may have been something there that discouraged me from doing that though.